It’s always difficult when you need a notary at a hospital. You typically have an ill relative and important documents to be signed. 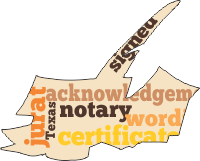 Most documents don’t require both a notary and witnesses but some do. 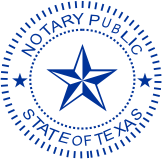 If you need a notary and witnesses, the hospital may not allow their employees (this includes chaplains, volunteers and staff) to be either. More and more hospital employees are not allowed to notarize financial and/or estate type documents. Also remember, as I can’t mention this enough, the witnesses must be unrelated or disinterested which means they are not related by blood or marriage to the signer or anyone named in the document. It’s stressful for everyone, especially the patient, when they think everything is set and ready to go but we have to stop and get witnesses at the last minute. This happened again earlier today. Hospitals and health facilities should make everyone aware of their rules. Give them a list of documents they aren’t supposed to witness.